Kilmainham Gaol is one of the largest unoccupied jails in Europe. It is a part of some of the most tragic and heroic moments in the history of Ireland and symbolises the tradition of militant and constitutionalnationalism from the rebellion of 1798 to the Irish Civil War of 1922-23. Leaders of the rebellions of 1798, 1803, 1848, 1867 and 1916 were detained and in some cases executed here. Many members of the Irish Republican movement during the Anglo-Irish War (1919-21) were also detained in Kilmainham Gaol. Henry Joy McCracken, Robert Emmet, Anne Devlin, Charles Stewart Parnell and the leaders of 1916 are some of the most famous inhabitants of Kilmainham Gaol. But Kilmainham Gaol didn’t only house political prisoners. Kilmainham Goal sheltered every kind of criminals from a petty thief, who stole some bread, to violent murderers. There were also children and women detained in the jail. Kilmainham Gaol opened its doors in 1796 and closed in 1924. When you take a tour of Kilmainham Gaol you will learn a lot about the political prisoners that have passed through its gates. You always have to remember during your visit that you are in one of the places where the Republic of Ireland was born. You will walk in the footsteps of the founding members of the Irish state. You will also gain an insight into the daily life of a prisoner in the jail. It was overcrowded, with terrible hygienic and health standards, and no full separation of women, men and children as a result. You can image the consequences of these problems in a jail. During your tour you will visit the permanent exhibition at the jail which shows you the social history of Kilmainham Gaol and Irish prisons in the 1800s, the history of Irish nationalism and republicanism (1796-1924), and the restoration of Kilmainham Gaol in the 1960s. There are different exhibitions from time to time as well. At the moment there is the exhibition called “1916-portraits and lives”. It explores the spectrum of personalities and perspectives that were involved in the famous 1916 Easter Rising, a pivotal struggle in Irish History which paved the way for Independence. This exhibition is at Kilmainham until October. The best way to plan your visit of Kilmainham Gaol is to prebook your tickets online. 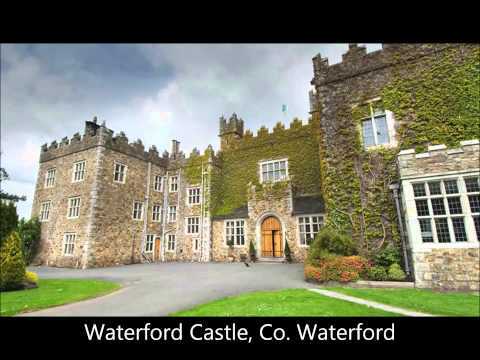 It is one of the top attractions on trip advisor and in my opinion one of the things that you really have to do when you visit Dublin or Ireland, but because of that you should plan your visit a few weeks before to get the tickets and tours that you want. It is located next to the Phoenix Park, and easy to get to by bus, and also close to the red line Luas station “Suir Road”. It is an amazing experience to learn about life in the prison and the people who were arrested. The history of Kilmainham Gaol is brought to life by a visit, which you’ll never forget. Are you interested in a visit of the Kilmainham Gaol or other attractions in Ireland? Please feel free to contact us.